These days it is important to insure valuable items and prized possessions against any accidents or any other sort of misadventure. 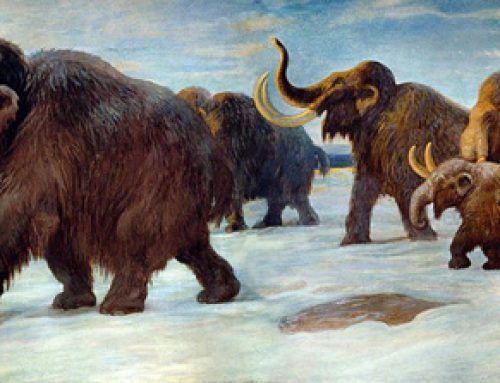 It is not just everyday items such as buildings and contents that need to be insured, sometimes baby Woolly Mammoths require insurance too. The 40,000 year-old baby Woolly Mammoth (Mammuthus primigenius), known as Lyuba has been insured for the princely sum of €1.1 euros ($1.47 million USD) in preparation for its 10-date museum tour. The little Mammoth, no more than a month old when it drowned in a muddy pit, is one of the best preserved young Mammoths ever discovered in Siberia and it is of great importance to science. So well preserved was this little female calf, that scientists were able to find traces of her mother’s milk inside the preserved stomach, this elephant’s last meal before her untimely death. Lyuba is important to scientists for a number of reasons, firstly, the specimen is remarkably well preserved and almost complete, secondly, the baby was healthy when it died, other examples of baby Mammoths found such as Dima; represented individuals that were in poor health and under nourished when they met their deaths. The well-conditioned body of Lyuba has helped scientists piece together more clues about how Mammoths survived the cold, the discovery of a fat store at the back of the head provided a breakthrough in scientist’s understanding of how young Mammoths survived their first winter. The remains of this Mammoth are still being studied at the Russian Academy of Science’s Zoological Institute in St. Petersburg, Russia, but she is going to tour a number of museums starting in 2010 and the insurance has been taken out as part of a risk assessment process before she starts her travels. First stop on the Lyuba world tour will be the famous Field Museum in Chicago, where she will be the star attraction in a new exhibit called “The Mammoths and Mastodons: Titans of the the Ice Age”. This exhibition is scheduled to run from March through to September 2010. Woolly Mammoths are evocative of animals that did not survive dramatic climate change, much debate has occurred regarding the extinction of the mega fauna on an around the commencement of the Holocene. Was it climate change, or perhaps the influence of humans hunting these large animals to the point of extinction? Part of the work being undertaken in St. Petersburg at present is to preserve the body of the Mammoth to enable it to be displayed without refrigeration. A scale model of the carcase of Lyuba is also being prepared so that visitors to the various museums can have a closer look at this baby Mammoth. Dates Reserved* May 10th 2014 through to September 14th 2014 are provisionally held by the Natural History Museum in London, as yet this venue for the tour, the last on the schedule has yet to be confirmed by the Natural History Museum. Now that little Lyuba has been insured, that is one less thing to worry about as plans begin to come together in preparation for the Field Museum leg of her world tour.